In 2018 we are producing our annual Lenten reflection booklets again. Ideal as a personal reflection, small group study guide, or whole of church resource, these booklets are again FREE to any person or church that requests them. 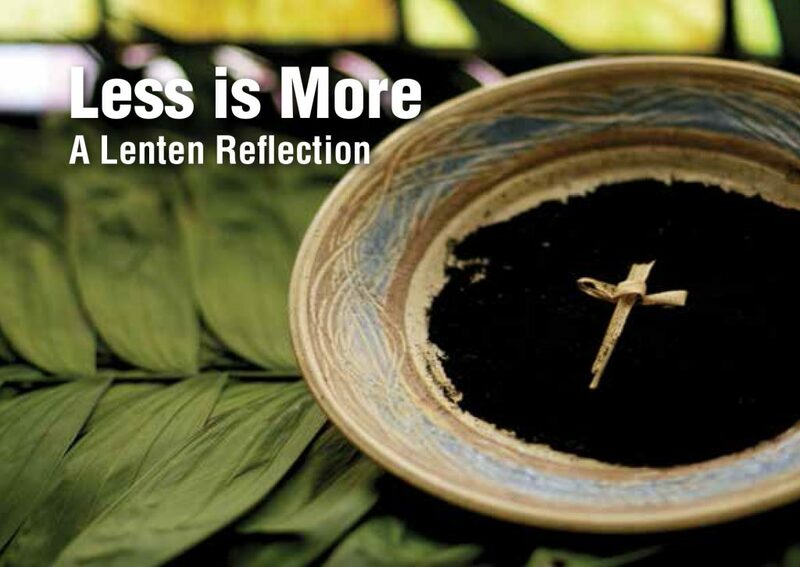 Our focus for this year’s Lenten reflections will be on the theme of ‘less is more’. This theme can be taken a number of different ways, depending on our context. The reflections explore some of these ideas and leave open the opportunity for you to discuss more in your groups or think more about them in your own time. The Lenten booklets have again been translated into Chinese, and we also have a Dinka version available for our South Sudanese friends. You can download a free English version of the Lenten booklet here. You can download a free Chinese version of the Lenten booklet here. You can download a free Dinka version of the Lenten booklet here. You can order as many Lenten booklets as you like. To place your orders for your Lenten reflection booklets, email us at aoa@anglicanoverseasaid.org.au or call us on 1800 249 880.